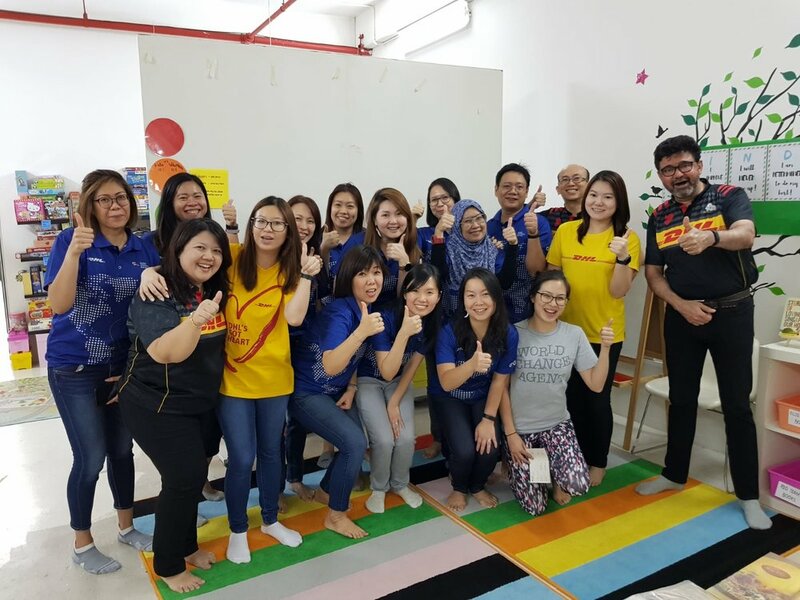 Last month, we were joined by an incredible team from Salesforce who contributed their time, energy and heart for the community through a group volunteering opportunity that would directly impact children and youth we outreach to in Singapore through our Beyond Awesome Program. Salesforce is our first corporate group we've accepted through our recent addition of creating group and corporate volunteering opportunities for the Singapore community. We offer 'Sort + Prep' service opportunities to groups of volunteers because there's just so much to be done - all the time! It also is felt immediately by youth who are part of our program and use the space on a weekly basis. We're grateful to the support and contributions of the Salesforce Team(s) that stepped forward, this particular group contributed SGD $700 towards our Beyond Awesome program which will directly impact some of the meaningful programming and classroom sessions that we have in the pipeline! Each time we host a group in our space, there's plenty of different activities and ways to support; organising our library, packing kids prizes, cleaning up the kitchen/pantry area, re-organising shelving, making our play are a meaningful space that's inspiring, prepping wall decor and classroom material - lots more! Here are some photos from our meaningful time together! Thank you, Salesforce! We hope many other teams are inspired by your acts of service and giving.